The archetypal New York City urban landscape is glimpsed “after hours” in a series of timeless, hyper-real photographs. 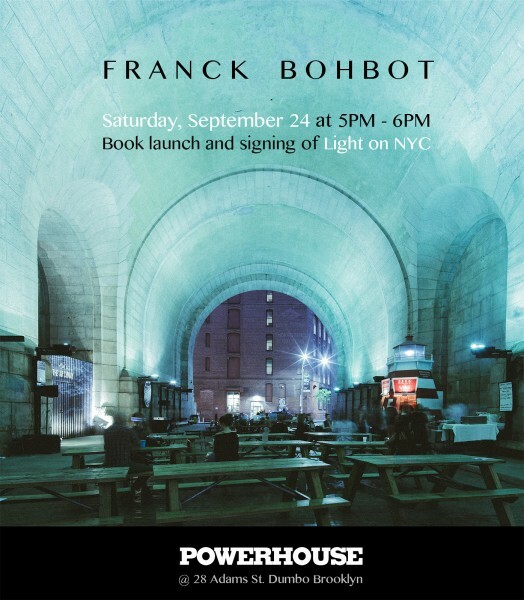 For fans of contemporary city photography, New York City history, and admirers of magic realism and surrealism in art and photography. Born in France in 1980, Franck Bohbot, is a Brooklyn-based contemporary photographer known for his vivid and surreal color photography. With a cinematic and painterly approach to his work, he creates meticulously-crafted pictures that capture an enigmatic atmosphere, showing the mystery and dream-like quality of everyday places and everyday life. His unique style has won him several awards and international acclaim in his young career. Recent notable work includes an innovative swimwear collaboration with designer Paul Smith and a stunningly dramatic series of photographs of the Louvre Museum in Paris.